The Tyler School of Art moves from the Elkins Park campus to Main Campus. After some apprehension from students, much of the Tyler School of Art community is excited about their new home in North Philadelphia. Carmina Cianciulli, assistant dean for Tyler admissions, said she thinks she’s the most excited person about the move. “I am the first one who’s packed and ready to go. It’s the right move at the right time to a pretty amazing place,” Cianciulli said. The buzz surrounding the move translated to a 26 percent increase in applications. “We denied 75 percent more student this year than last,” Cianciulli said. Therese Dolan, the interim dean for the art school said the Tyler move has been in the making for more than 20 years and that students have known since they were accepted to Temple. The new facility cost $76 million and is quadrupling the amount of gallery space when compared to previous space available to students, said William Bergman, the vice president of operations. “At first I really wanted to go to Elkins Park but when I found out about all of the new technology I got really excited,” said Steph Frank, a freshman fine arts and English major. Dolan said the smaller workspace at the Elkins Park campus forced students to do their work at strange hours so everyone could be accommodated and use the facilities. Students and faculty won’t be able to use the building until it opens for classes in the spring. Until then, students living on Main Campus must commute to the Elkins Park campus for class. Some students are refusing to give up on the Elkins Park campus and are choosing to live there instead of moving to Main Campus. “I have friends who are staying in Elkins Park for the fall and commuting to main campus in the spring,” said Eichelberger, who added that he thinks the commute in the fall will be too much for the incoming freshmen to handle. Senior sculpture major Chester Zecca said that even though Main Campus has more resources than the Elkins Park campus, he preferred the tight-knit community of Tyler over Main Campus’. Tyler students living on or near Main Campus will have access to Temple’s free shuttles. A specially decorated shuttle bus will be running 24 hours a day from Main Campus to Elkins Park. A competition was held to pick a student to decorate the outside of the bus. Kristen Jones, a senior sculpture and art education major, was a student-athlete on the track and field team for her first two years at Temple and said commuting from Elkins Park to practices on Main Campus via the shuttle was extremely difficult. She said she is very excited about the move because she and other students will be able to go to events on Main Campus without having to travel. 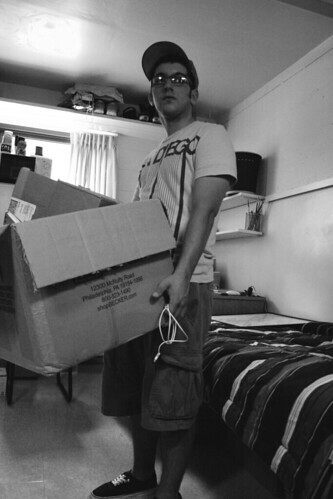 “I think the Tyler move to Main Campus is very exciting and will be a big change for everyone. The new studios are going to have more space and new equipment,” Jones said. LeAnne Matlach can be reached at leannematlach@temple.edu. Tuition increased of $400 for in-state students, and $600 for out-of-state students were approved at Thursday’s board meeting. A week into the semester, students and faculty share their responses to Alter Hall and the Tyler School of Art building. The annual contest, organized by the College of Liberal Arts and the political science department, will accept submissions until Nov. 27.
actually we don’t have quadruple the amount of gallery space. after temple had decided to get rid of temple gallery in old city, the main gallery space here is replaced that. it’s not intended for students. we have a small gallery on the bottom floor that is about the same size as one of the two gallery spaces we had at the old Tyler campus.